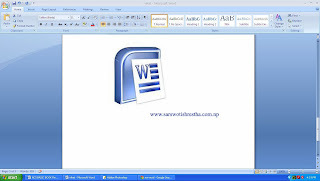 Apart from pictures and clipart, word also allows you to insert other objects such as WordArt and Auto shapes. These can be very useful to quickly create and illustration or flowchart, or simply to add flavor to the document. The easiest way to add Auto shapes is to pick the appropriate tool from the Drawing Toolbar and draw it on the page. To create text effects by inserting and drawing objects. -Click on the Insert Menu>WordArt. -Choose anyone word art style from the gallery, which you like. 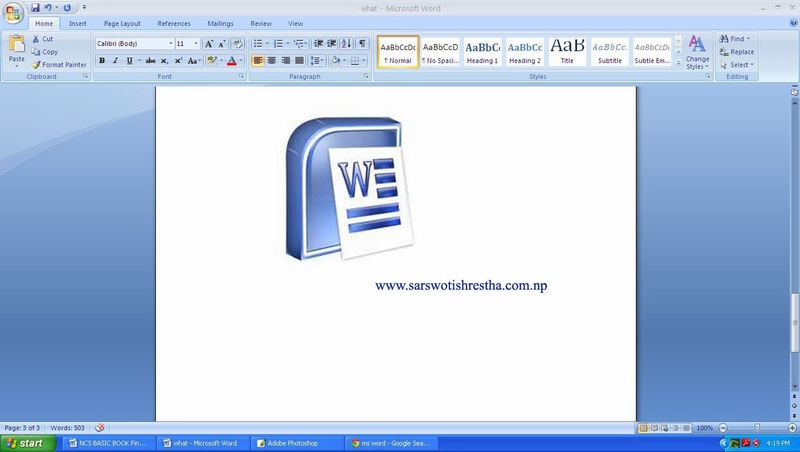 -Edit WordArt text will appear and type your own words. To rotate, a selected objects to any degree. -Select the object, which you want to rotate. -When you select the object , the green bullet will appear . Then ,you can rotate in any directions. We can change our document in the newspaper style from the columns. We can change the number of columns in a document or a section of a document. -In the Page Layout Menu > Click columns submenu. -Columns dialogue box will appear. -Set the width and spacing of the columns. -You can select apply to whole document of this point forward. The point forward means below from the cursor where you insert the cursor. Tables lend clarity and display the facts in a user-friendly interface. Tables are an integral part of designing information into a structured, understandable format. We will see how we can use tables and work with the data they hold. Insert Table in the document with the number of columns and rows you specify. -On the Insert Menu >Table>Insert Table. -Insert Table Manager Box will appear, where all you have to specify the number of rows and columns it should have. -Type the number of rows and columns how many you want. -After that click on OK .
You can format a table automatically using one of the predefined styles. -Click at Insert Menu >Table. -Click Quick Table and choose any style of table. To combine the contents of selected adjacent cells into a single cell. -Select the cells, which you want to merge. -In the Layout menu, click Merge Cells submenu. -your cells will be merged. To split the selected cells into the number of rows and columns you entered . -In the Layout Menu, click split cells. -Split cells dialog box will appear. -Input the number of rows and columns and click on ok button. Word can automatically sort data in the table up to three levels in ascending or descending order. Sorting can be based on text, numbers and dates. -Select the data, which you want to sort. -On Layout Menu >Click Sort and choose the columns to sort .